In the ancient times, people used to write on stone tablets, palm leaves, banana leaves, etc. There are several treatises written on the same mediums which are now immortalized in the museums and other preservation sites across the globe. With the advancement of time, the Gutenberg press was invented, and people thus started to write on paper, leading to the publication of the first-ever book, the Gutenberg Bible, it was called. Also, when people wanted to pen their own thoughts down or let the world know about their ideas, they wrote in diaries and published them. One of the most famous journals in existence (though people liken it to an autobiography as it was her last surviving piece of writing before succumbing to death in the Jew concentration camp) is The Diary of Anne Frank. Starting a #WordPress #blog can be easy, but if you don’t take care of all the important things from the very start, you might find it hard to fix all the problems later on. However, if one fast forwards to the 21st century, which is known as the digital age, one finds the abundance of blogs or internet based publishing mediums where one can publish as much content as one wants, and that too free of cost (though of course, there are paid ones too). Blogs have one distinct advantage as and when compared to diaries: they have a more significant reach, meaning that irrespective of the type of blog (that is, paid or free), one can reach millions of people and share their thoughts. Now, what are the main things one should know before creating a blog on WordPress? Think no more and go no further, for here we bring you that very list of things that you should know before creating a WordPress blog. In all its basic sense, what is a database? It can be called a storage house for valuable information and data which pertains to a particular enterprise, organization or some definite purpose. Similarly, WordPress too uses a database to manage the streams of data being poured into it every day. It uses MySQL database as its database provider. 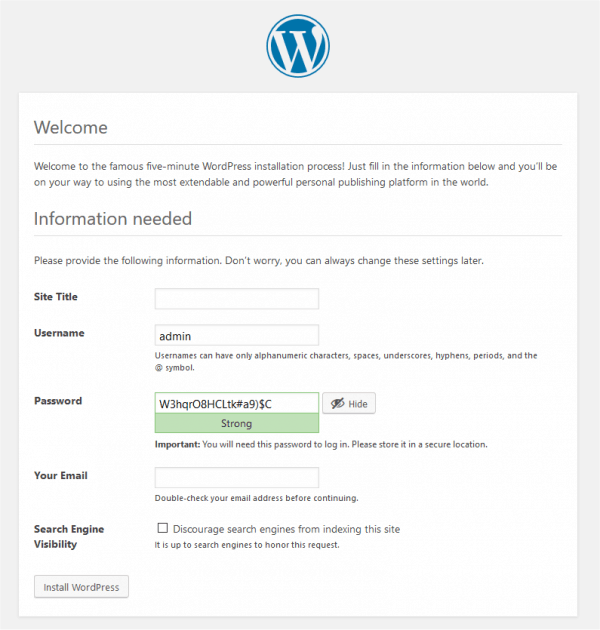 A database is created automatically upon the installation of WordPress in your personal laptops or computers. 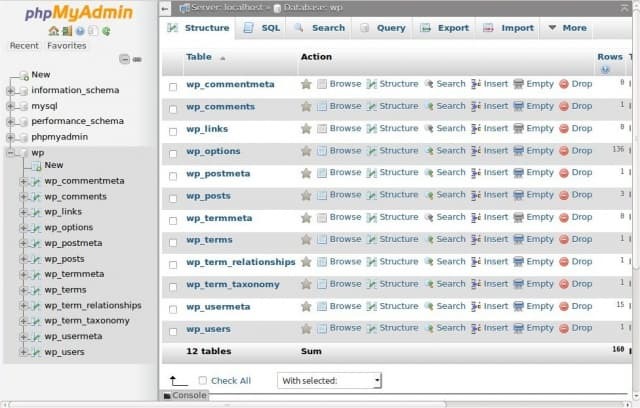 Now, databases have tables which can be compared to the cabinets of a filing room. Similar way, WordPress has its own tables which are used to store the data. You should know basics of connecting to the database and general error correction. So if WordPress reports that it is getting an error establishing a connection to WordPress Database, you know how to fix it. If you want to learn about it, you should check this amazing tutorial by 000webhost.com. HTTP is the core of any internet communication as this is the standard protocol which gets used to transfer data from server to your browser. Each request returns a specific HTTP status code which tells what happened with the request. You don’t need to understand the complete protocol, but you should know how to check the HTTP Status code. This way if you receive any HTTP error from WordPress, you can figure out what happened. Though there are many tutorials available on internet like this one from 000webhost.com, which allows you to recover from HTTP error 403. If you are planning to start a self-hosted WordPress blog, you would like to know the basics of WordPress installation. Though most of the hosting comes with a cPanel install which can install WordPress with a single click, if you get a cloud hosting on Google or AWS, the installation process will come in handy. WordPress is an open source software, which means you don’t have to pay to use it. You can easily install WordPress on your local machine to get an idea of the installation process. If you are planning to install WordPress on your Windows or Mac machine, you should check this guide from 000webhost.com. Moving on, once the user has installed WordPress onto their devices and they begin to familiarize themselves with the software, they find out that WordPress has six predefined roles, namely, Super-admin, Administrator, Editor, Author, Contributor, and Subscriber. Super-administrator: This role gives its user the capability to do virtually everything, that is, the user has access to the site administration features and all other features. Subscriber: A subscriber is someone who can only manage his/her profile. This way while making user accounts, you will be able to assign them proper authorization. Also if any of the users are facing issues or you are locked out of WordPress Admin account, you will be able to fix it, if you understand the WordPress users & Roles. Though WordPress itself is sufficient to put your content in front of the customers but they have some additional things which can help you in organizing your site. 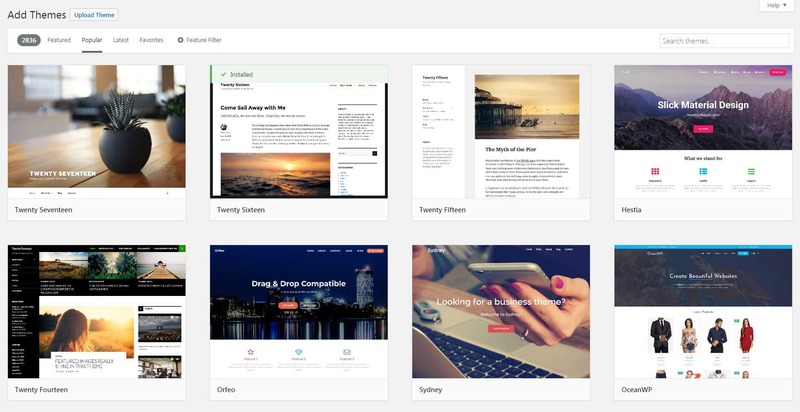 There are themes, which allow you to change the display style for your content. Most of your content is stored in the Database but when it is displayed on the page, themes layout will be used. This way you can change the looks of your site without worrying about the content. WordPress comes with few themes at the start and you can get free or paid themes from the market. Like themes, there are plugins which add a new functionality. You can start with a coming soon page, consider adding social media icons, social follow buttons or adding related articles in your content as a additional functionality. Plugins don’t come bundled with WordPress but you can install them from the WordPress dashboard and add these additional functionalities to your site. It’s one thing to create a website and another thing to bring it in front of your customers. Most of the people go to search engines like Google or Bing to find the information they need. You need to make sure that your site is listed there so that your customer can find you. Search engine optimization (SEO) is a method to optimize your content so that search engines can understand and rank it correctly. So while creating a content, you need to make sure it is optimized for both – people and search engines. There are many sites which get created on a daily basis, and most of them die within six months because they are not able to get enough customers. So if you understand SEO and make sure that your content is SEO optimized from the start, it will help in getting more customers. By default WordPress creates the address with the help of title and publish date of the page or post. It creates these address dynamically with the help of rule set in the Settings -> Permalinks. You need to make sure that you understand the structure you wanted to create for your site. It will help you to set the permalinks correctly after installing the WordPress. It will be very difficult to change the URL structure later on. You can change the URL structure any number of time in settings. But once the URL is published and you want to change it afterwards, you need to create a redirect from old URL to New URL. This creates a lot of issues if you are changing the structure of URL in permalinks settings. There are few pairs in WordPress which you should be aware of – Post & Pages and Categories & Tags. Post & Pages – Any content which is time sensitive, is a Post. If it’s going to live forever on your site, it’s a Page. Categories & Tags – You should not consider them as two different things. Categories are broad topics on which you are generating content. Tags are additional relative topics which connect to the content. There is one small difference between categories & tags. Categories are hierarchical where tags are not. So you can create sub-categories but you can’t create sub-tags. They both get their own page and users can go to that page to see which posts are published under them. They help your customer to discover additional things about your content. So, before creating your first blog, it would be good if you check all the eight things we mentioned in this article. It will make sure that you can create your first WordPress blog correctly, and that your site has a nice start. Published on February 24, 2018 by Sanjeev Mohindra; modified on February 26, 2018. Filed under: blog, WordPress. Great article. Bloggers usually plan and schedule around their writing skills. Even the tools they are interested in are related to writing. They would usually not be interested in more functional things. In our haste to start a blog we might overlook crucial information and skills and face serious problem later. Your article creates awareness about this possibility and shows the way around. Thanks for sharing this valuable information with us. Have a great day! Thanks so much for the details. I agree to you on the points like database and permalinks. I am seen just due to the permalink, sometimes major issues come in.